For times of need of sincere condolences, send this delicate combination of fresh flowers to express you deepest condolences. 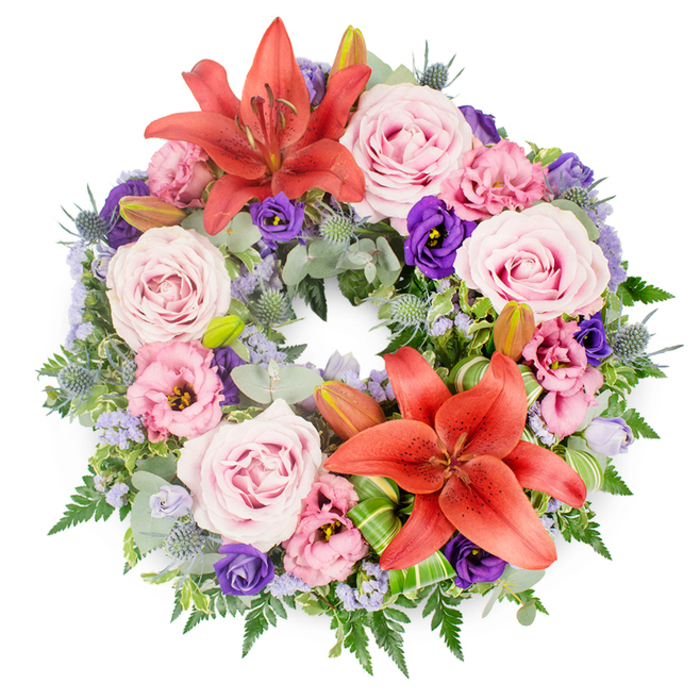 I wanted a funeral wreath with assorted colours. They provided the best combination of roses and lilies. I have to admit, when I placed my order, I could not have expected such beautiful flowers. I was very much impressed they got to the funeral home so fast. This is the second time to use your company. Both times the service was really fast and dependable. Their customer service is the most patient one I have encountered. They listened to my detailed order and delivered exactly what I asked for. Five stars. Very beautiful, can't even explain how grateful I am for everything! I received an email saying that the flowers were delivered. Called the funeral home directors and they confirmed that the wreath was safely delivered in good condition.